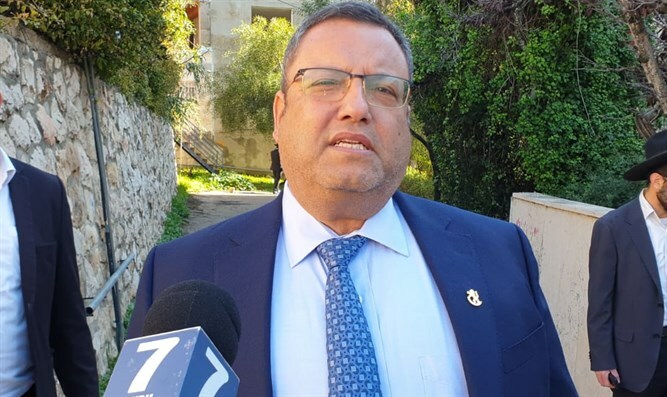 Jerusalem Mayor Moshe Lion visited the Siach Yisrael synagogue in the Kiryat Yovel neighborhood of the capital Tuesday morning, after it was discovered that the synagogue had been desecrated by vandals overnight. Vandals broke in to the synagogue Monday night, police say, and cut open the Torah ark, hurling the sacred texts on the floor and trashing a number of prayer books. “I just came out of the Siach Yisrael synagogue, which is affiliated with the French immigrant community,” Lion told Arutz Sheva. The mayor called for united in the face of the attack on the synagogue.